How do I pay for my product and how secure is it? After proceeding to checkout, you will be directed to a payment page, powered by Paypal™. Through a secure, encrypted gateway, you are able to submit your credit card, debit card or banking details for transaction. There is no need for a Paypal account. What currency does the store use? Our website’s prices are displayed in the Australian Dollar (AUD). If you are using an international currency, please note that any international prices are approximate conversions, and may change from a day-to-day basis. Please check the exchange rates to determine the exact price of our goods, and note that there may be a small processing fee from your banking institution for the currency exchange. Are there any duties or taxes to international orders? In Australia, G.S.T is already included in your purchase. For all other countries, please check with your customs or postal authority to see if any further taxes will be incurred. What are the shipping charges? How will they be delivered? Most orders will receive free shipping to any destination in Australia. Some exclusions may apply to clearance items and accessories. In these cases, the exact shipping charge will be calculated at checkout. Shipping costs for international orders, as well as express shipping, will be calculated and displayed at checkout (as prices are variable). Euram Australia uses Australia Post to deliver parcels. For Australian destinations, you should receive your order within 2-7 business days, depending on your location and after payment clears. If you would like your order sooner, you are able to pick up the order at one of our stores, or select an express shipping option. The processing time before dispatch is generally 1-2 days. Please note that delivery times are provided as a guide only. Your card will be billed at the time of transaction. The name that will appear on your statement is ‘EURAM UGG’ or ‘PAYPAL*EURAM UGG’. Tracking comes standard with all orders to Australian destinations. We will send you details by email to track your order online. International tracking may be available to selected destinations. What does 'Special Order' or 'Custom Order' mean? We offer our customers a huge choice when it comes to ugg boots and sheepskin products, and try to cater for as many people as possible. If a product is marked with ‘Special Order’, you item is often made-to-order. Please allow up to 1 extra working day for us to handcraft your order specially for you. We also welcome custom orders, so feel free to contact us if you would like to specify your own customisations. If we are able to accept your custom order request, please note that a higher price may be applicable. We may require some extra time to fulfil your specifications, so we will provide quotes on a case-by-case basis. What is the definition of an ugg boot? ‘Ugg boot’ (also referred to as ug or ugh) is a general term given to Australian made sheepskin footwear. The term originates in Australia. However, with the acquisition of this name in international countries by Decker’s, who claimed this was an original brand name, many have the misconception that ‘ugg boots’ is a brand name owned by this company. This name however, can be used anywhere in Australia. Are there multiple ugg boot brands? Yes, and Euram Ugg is one of them. Our brand is just one of many that are allowed to operate with the term ‘ugg’ because it is not considered a brand name in Australia. After all, the term is originates from Australia to term sheepskin footwear! Do you sell UGG Australia™ sheepskin ugg boots? No, we have no affiliation with Decker’s Ugg Australia, who have acquired the ‘Ugg’ brand name for use in international countries. We do not sell their boots, which are made in China or other overseas countries. Euram Ugg boots are made in Australia. What does 'twin-faced sheepskin' mean? Twin-faced sheepskin, also referred to as double-faced sheepskin, is a term to describe that the sheepskin used comes naturally with the skin and wool as one, instead of having them glued together with the use of machines. Double-face sheepskin ensures quality, and this term is essential to identify between good ugg boots. It is great quality and strong. If you cannot see this term on ugg boots, you are advised not to buy it. If shoes are not double-faced, the sheepskin is likely to be of bad quality and have blemishes, so they are concealed with a layer of suede. 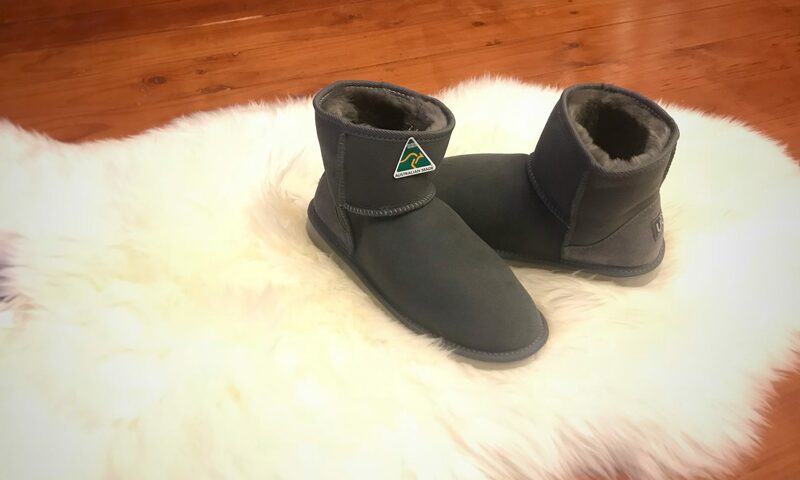 Are Euram Ugg boots Australian made? YES! All Euram Ugg Boots are handcrafted in Melbourne, Australia! Are all ugg boots Australian made? Unfortunately, not all ugg boots are made in Australia. Many ugg boots brands manufacture their products overseas to reduce labour costs. This not only puts Australian jobs at risk, but quality can be affected. This is why generally, Australian made ugg boots are the ones of best quality. EVA soles is made of lightweight material, which is optimal for indoor and light outdoor use. It is highly flexible, and is less subject to cracking. If your products do not fit as expected, you are able to exchange your purchase within ninety (90) days of purchase. Please contact us first if you need to exchange your order, so that we know that we should be expecting a parcel. We’ll ask for a few details from there. Please note that unless specifically stated, we are not responsible for returns shipping. Special/custom-made purchases are general not subject to returns unless required by consumer law. Euram Australia provides returns based on Australian Consumer Law. Returns will be given in the event of a major manufacturing fault (we quality check each product though, so we’re confident this won’t happen), or unless required by law. Intentional or unintentional tampering of goods will not be acceptable grounds for refunds or exchanges. If a minor fault is present, please contact us and send us an image of your product, and this will be assessed by us on a case by case basis. Minor faults may be fixed, replaced or refunded at our discretion. Unless specifically stated, shipping charges are the responsibility of the sender. How long will my ugg boots last? Euram Ugg boots are made with high quality, Australian ‘A’ Grade sheepskin, so they are designed to last. They’ll last so long that your insoles will probably get worn out and your boots would still be in good condition. In this event, you are able to purchase or order insoles to slip into your boots! Obviously the longevity of your boots or similar sheepskin article will depend on how well you take care of them. Your boots would last the most when used indoors and for light outdoor use, but they’ll still last if used for outdoor purposes. For tips about caring for your ugg boots or other sheepskin articles, visit our Ugg Boot Care page. How can I care for my ugg boots? Is waterproofing suitable? Please visit our Ugg Boot Care page for tips regarding caring for your ugg boots or similar sheepskin articles. Waterproofing is suitable with an approved agent for sheepskin leather, however please take care as we are not responsible for any damage caused (e.g. in colourations). Our Nappa Ugg boot range is already water and stain resistant, so there is no need for waterproofing! Are your products Australian made? Yes! Our Euram branded products, including our ugg boots and apparel, are handcrafted in Melbourne, Australia! Do your boots come with 'Ugg' labels? Yes they do! At the back of the heel, our Euram Ugg label is branded onto the boot! I would like to visit an outlet stocking Euram products. Locations? If you are in Melbourne, feel free to come to one of our ‘Australia Sheepskins and Souvenirs’ stores to browse our product offerings. Click here for our store locations.